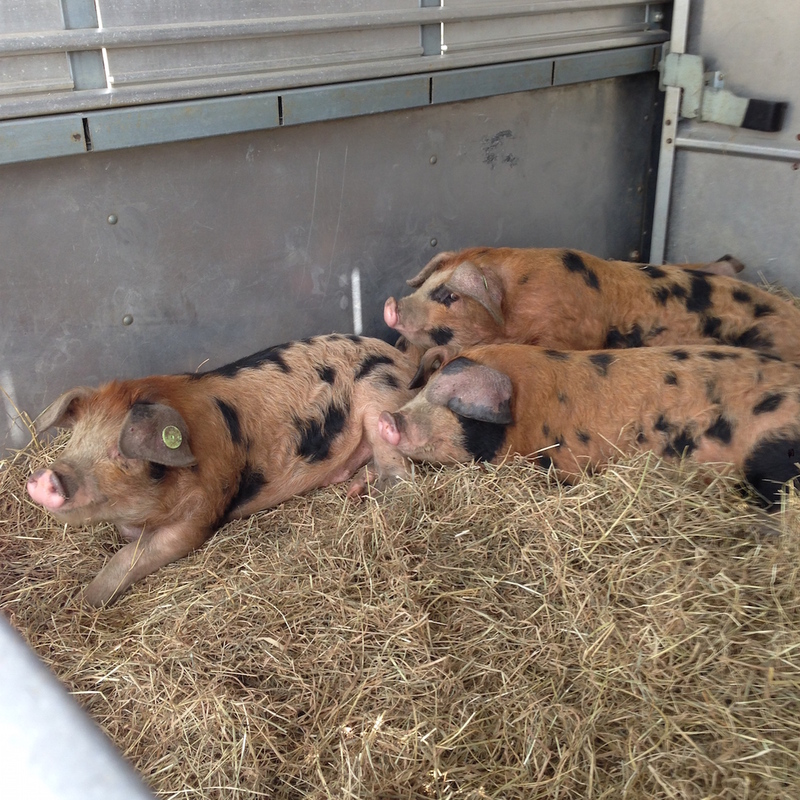 Last Wednesday James went to pick up four gorgeous Oxford Sandy and Black pigs (OSBs). Each year we are trying out different rare breeds to see which suits our set-up best, which we like and which are the tastiest! This year it is Berkshires and OSBs. 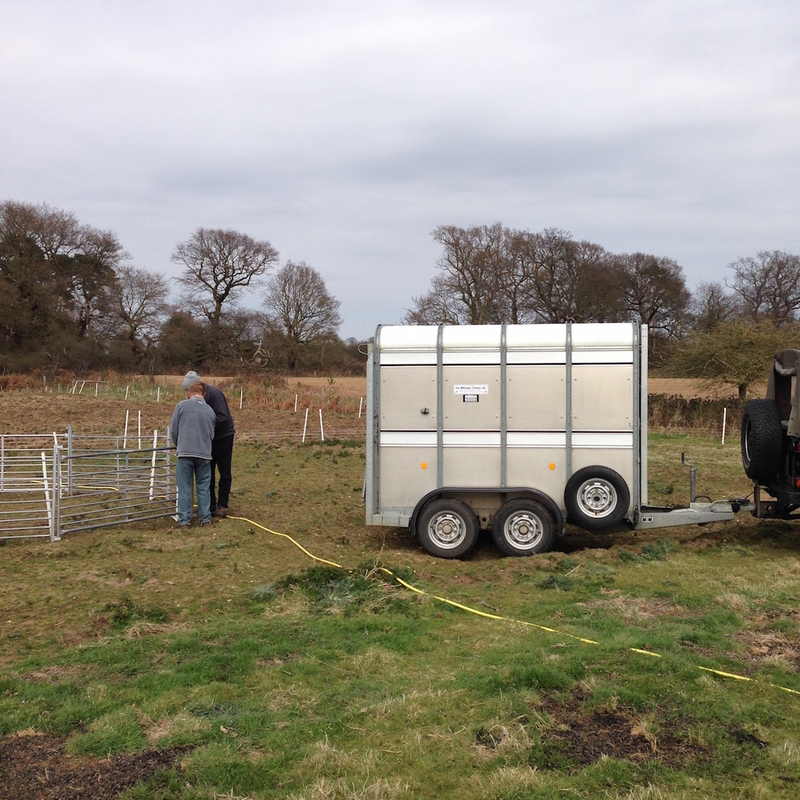 James arrived with the piggies in the trailer – luckily team-pig was on board to help with off loading. 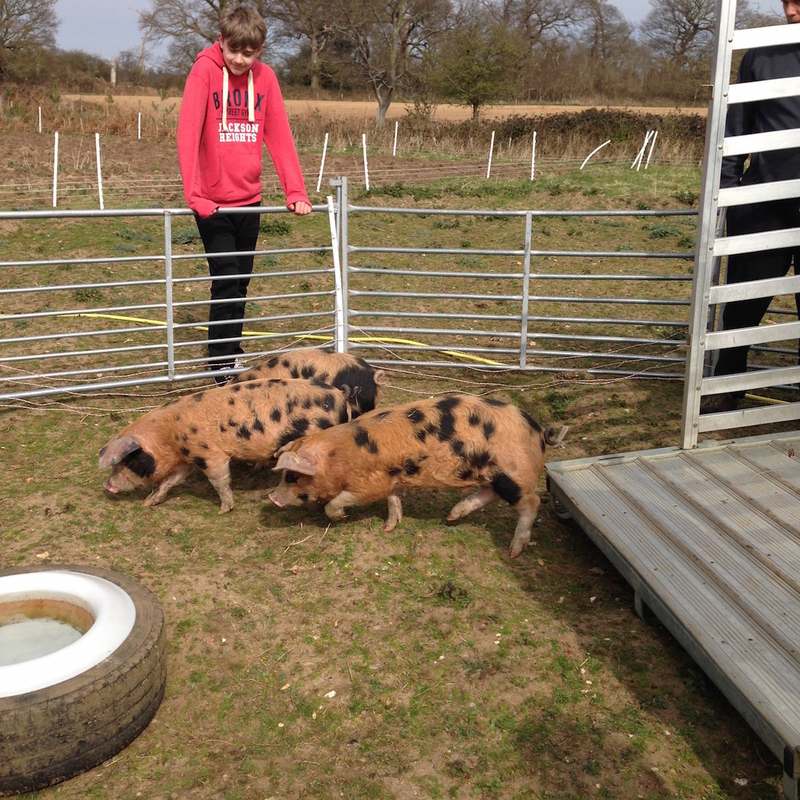 The piggies were very calm and came out of the trailer with no problem at all. 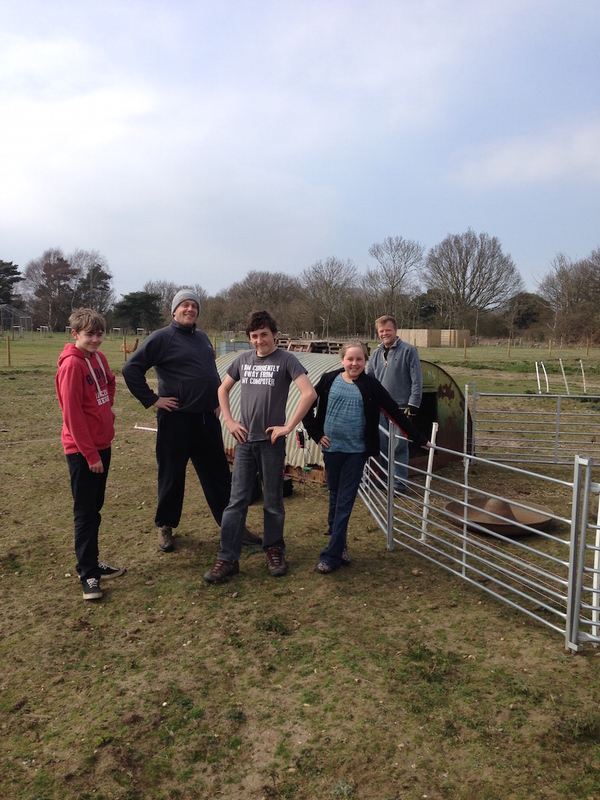 With team-pig helping we were able to move the hurdles and electric fencing and safely get them in to their new mini-pen. 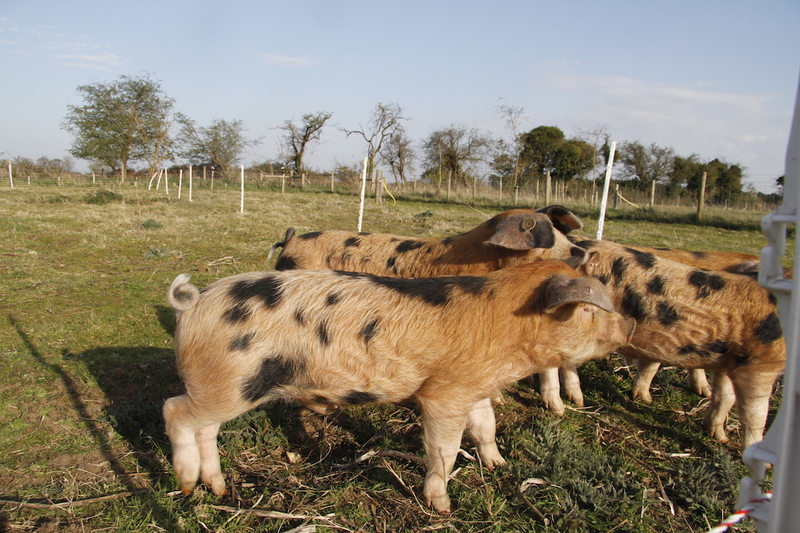 I like that the spotted pigs are so calm. May they be healthy, live well and taste delicious in the end. Completely agree with you – especially the last three points! Yay, Team-Pig!!! 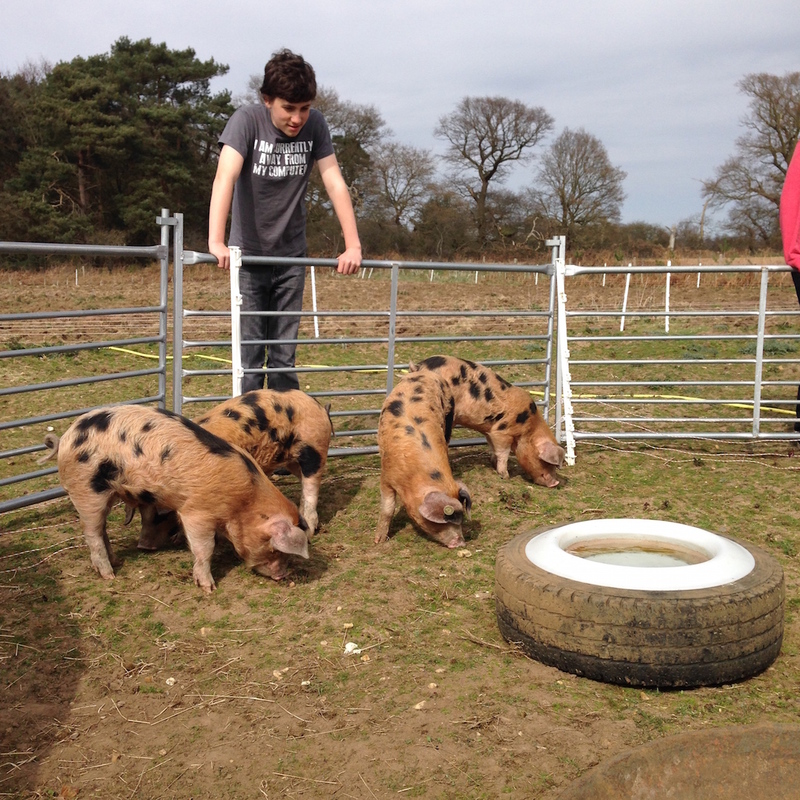 Growing up being required for a time to feed big pigs (think I got fired fairly early on in the process – not strong enough to carry buckets of food and I probably whined about the cold and mud;-)) I developed a dislike for pigs. 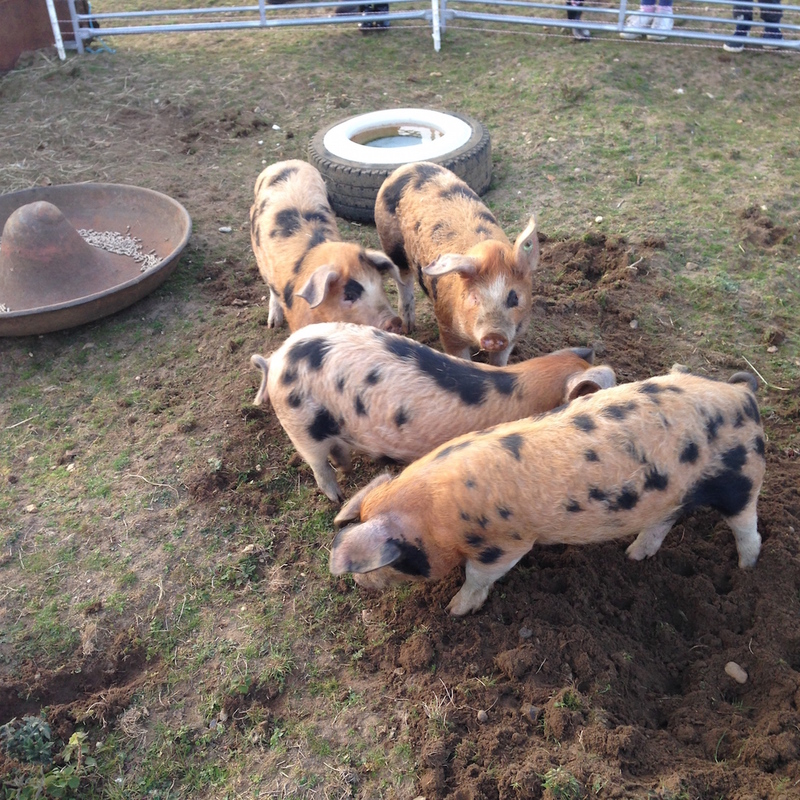 But I think these pigs are quite beautiful. Thanks for teaching me there are other pigs to consider. 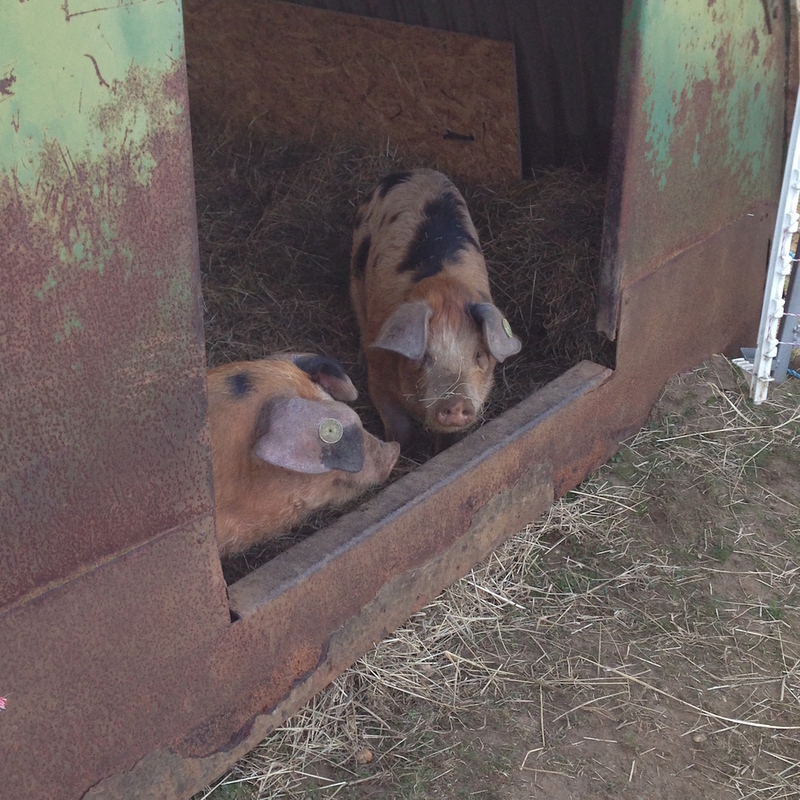 Pigs are cute, but luckily they get less cute as they get bigger. And, may u say, what a team!!!! !